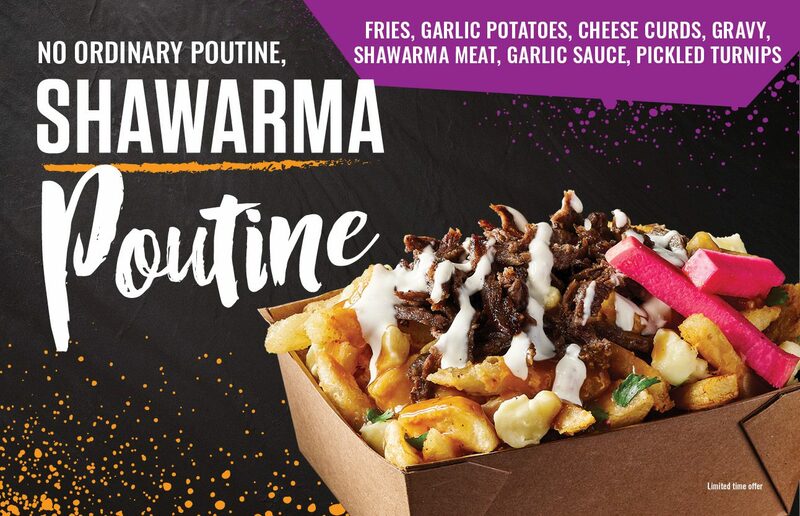 No ordinary poutine… SHAWARMA POUTINE! 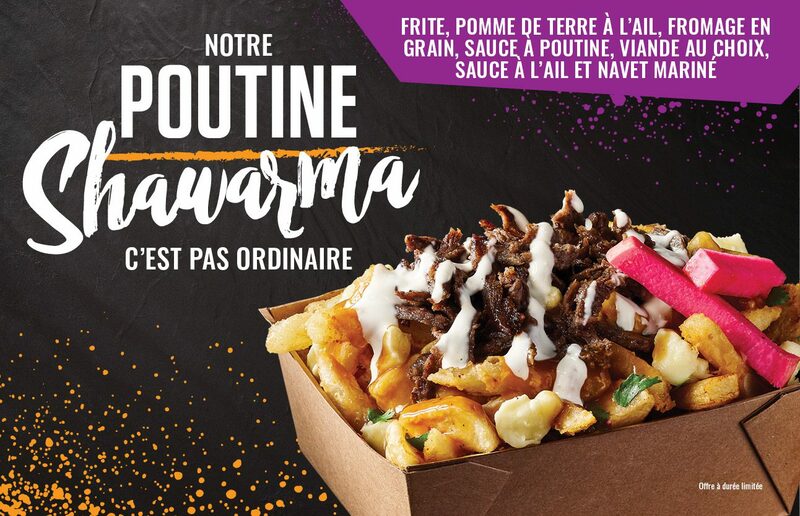 The Villa Madina team is excited to share that our new Shawarma Poutine is now available at all restaurants in Ontario and Quebec. This irresistible poutine is made with crispy French fries and our signature garlic potatoes, topped with cheese curds, gravy, shawarma meat of your choice (chicken, beef or mixed), garlic sauce and garnished with pickled turnips. Available in regular and super sizes, it’s a whole new way to poutine. Available for a limited time at participating locations.